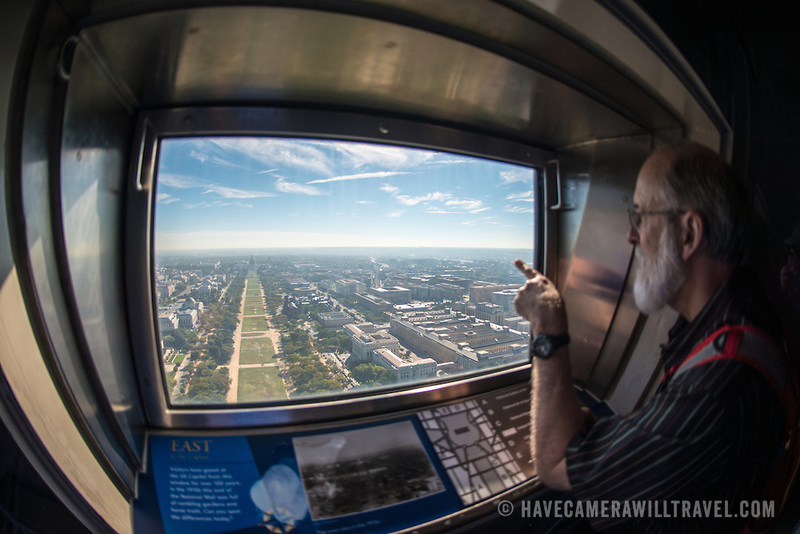 A man looks out a window facing East towards the US Capitol Building from the top of the Washington Monument. The Washington Monument stands at over 555 feet (169 metres) at the center of the National Mall in Washington DC. It was completed in 1884 and underwent extensive renovations in 2012-13 after an earthquake damaged some of the structure.